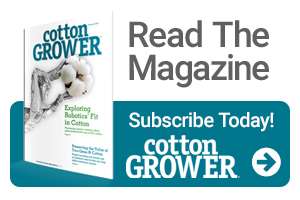 Despite a rocky start, the Arkansas cotton harvest appears poised for a record outcome. Overall, the USDA National Agricultural Statistics Service forecasts Arkansas cotton yields at 1.06 million bales in November, up 220,000 bales from a year earlier. That averages to 1,162 pounds of cotton per harvested acre – 87 pounds above 2016. Robertson said cotton yields north of Interstate 40 have been high, while yields south of there were average to a little better than average. All that cotton will likely have the state’s gins running through Christmas, Robertson said. Ginning was finished by early December in 2016. Fred Miller is Science Editor, University of Arkansas System Division of Agriculture. See all author stories here.